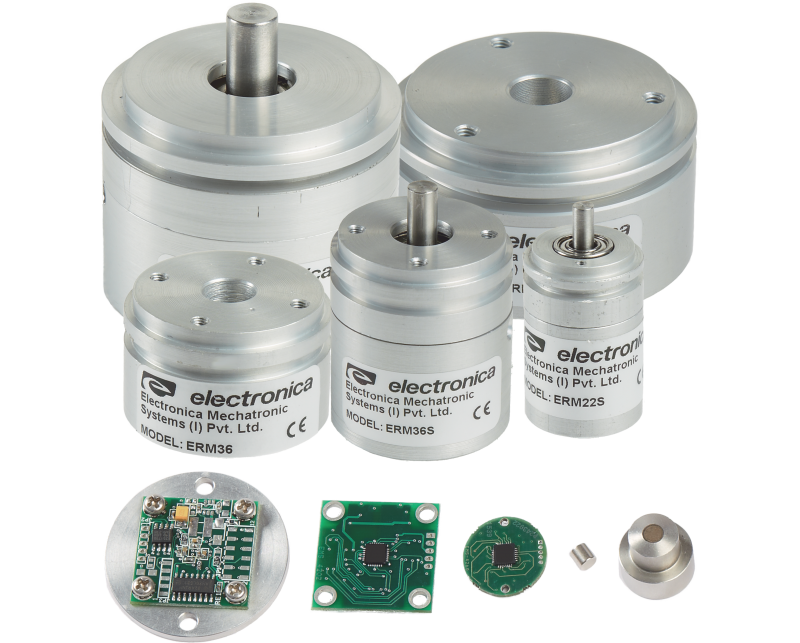 Electronica Mechatronics Systems presents a series of rotary magnetic encoders with up to 14-bit resolution and manufactured in India. EMS Pvt introduces a series of differential, Incremental, or absolute rotary encoders with up to 14 bit resolution (relative to the 13 bit existing in the market). The encoders are based on German technology (sensors and IC's) while production is in India. This fact perfectly fits your Indian offset needs. These high accuracy encoders can be produces in large number of diameters, ranging from 10 mm to 36 mm, they are fully compatible with the standard mechanical structures and fully replaceable. The encoders can be purchased in an open version (an assembled PCB and magnet) or in various sealed versions.